The next-generation CR-V takes style and performance to new heights. Along with a bold new look, 2017 Honda CR-V reviews commend the SUV's new Display Audio System with Apple CarPlay and Android Auto. In fact, Cars.com calls the updated system a "Big Win." With increased space and enhanced materials, the SUV's thoroughly updated cabin also impresses, as does its new turbo engine. Additionally, CR-V has earned a 2017 Best Cars for the Money award from U.S. News & World Report** in the compact SUV category, so look no further if you're searching for an SUV that offers excellent value. If you're interested in the 2017 Honda CR-V in Phoenix, your options include four well-appointed trims: CR-V LX, CR-V EX, CR-V EX-L and CR-V Touring. Kelley Blue Book's 2017 Honda CR-V review says shoppers may be surprised by the SUV's roster of tech-savvy amenities and "sheer interior space." 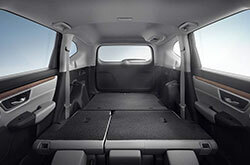 The cabin is roomier than before, plus features like a Magic Seat offer incredible flexibility when it comes to storing cargo. Other star features like a standard Capless Fuel Filler, Bluetooth and 12-volt power outlets are also handy. Plus, EX and above trims provide superior connectivity with SMS Text Messaging, HondaLink, and Apple CarPlay and Android Auto. 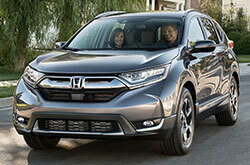 For the first time ever, CR-V offers a turbo engine and it just happens to offer class-leading efficiency! Included on the EX, EX-L and Touring, the 1.5-liter turbo four-cylinder produces 190 horsepower and 179 lb.-ft. of torque. On the base model, a capable 2.4-liter four-cylinder provides 184 hp and 180 torque. Both powerplants are attached to a CVT for optimized efficiency. Visit Showcase to take a spin in a 2017 Honda CR-V in Phoenix and experience both engines! Enhanced passenger protection is achieved with active safety features like Vehicle Stability Assist with Traction Control, Tire Pressure Monitoring and a Multi-Angle Rearview Camera. 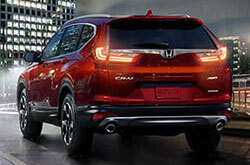 Additionally, the Honda Sensing package is now standard on EX and above trims and includes Road Departure Mitigation, Lane Keeping Assist, Collision Mitigation Braking, Blind Spot Monitoring, Adaptive Cruise Control and Auto High Beams. 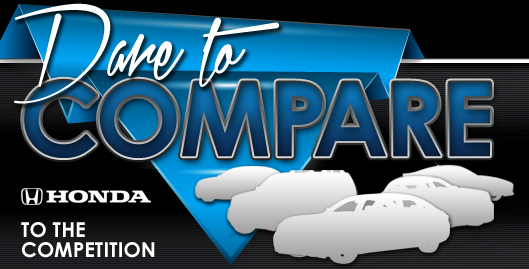 Considering a new car take home in the Phoenix area? If so, don't just check out the 2017 Ford Escape, Hyundai Tucson and the Mazda CX-5; be sure to mull over the enticing 2017 Honda CR-V too. Thanks to its innovative features and other attributes, it could end up being a clear-cut match for you. Use our review to see if the 2017 Honda CR-V is perfect for your daily needs. 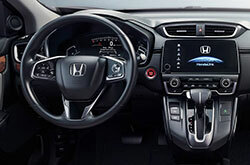 Also take a glimpse at the latest financing offers available at Showcase Honda! We're a hometown car dealer with a number of factory offers on new and late-model-year used car models, including the Honda CR-V. We hope our 2017 Honda CR-V review offers help when you're all set to make your final buying decision. 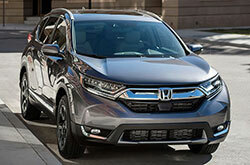 It's indisputable that the excellent new Honda CR-V is worth considering; visit for a showing at Showcase Honda to see the new model up close. Are you hoping to see its exterior design before you stop by? Check out our video to get a peek at its equipment! Purchase prices do not include tax, title, license and $395.00 doc fee. Prices include the listed Factory Offers and Incentives. Please verify all information. We are not responsible for typographical, technical, or misprint errors. Inventory is subject to prior sale. Contact us via phone or email for more details.